Free shipping - Stylish water-resistant Casio watch inspired by designs from 1995 with digital and analog clocks. We selected this Casio watch for its classic and simple aesthetic which has remained authentic and fashionably relevant since its original design more than 20 years ago. 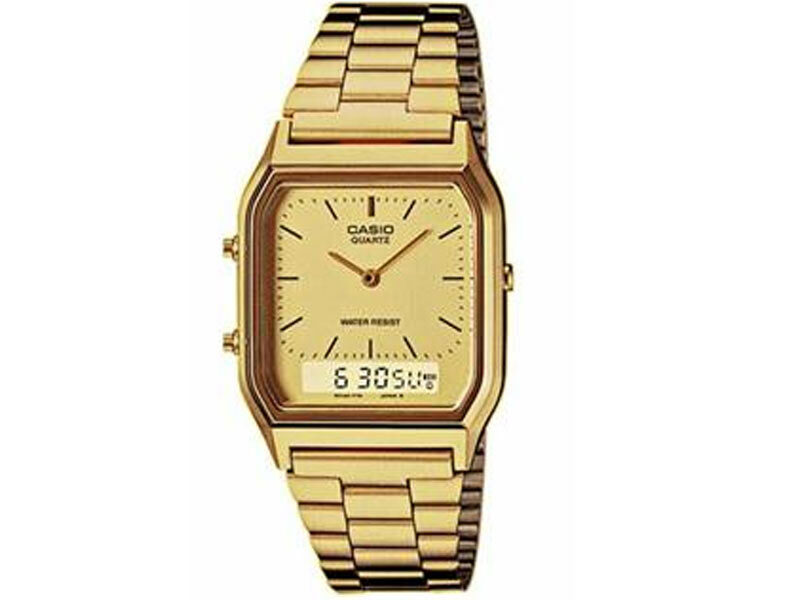 Stylish water-resistant Casio watch inspired by designs from 1995 with digital and analog clocks. Second time zone: A second location time can be set and called up. Ideal if you frequently make overseas calls. Stopwatch function - 1/100 sec. - 1 hour: Elapsed time, split time and final time are measured with 1/100-sec accuracy. The watch can measure times of up to 1 hour. Daily alarm: The daily alarm reminds you of events that recur every day, by emitting an audible signal at the set time. Stainless steel band: Tough, durable and elegant: The stainless steel wrist strap gives your watch that classic feel. Adjustable fastening: The clasp can be individually adjusted extremely easily for maximum comfort. Water resistance classification (WR) to ISO 2281: This model is water resistant to DIN 8310 / ISO 2281, and thus is resistant to minor splashing. Any greater water contact should be avoided.